Overall, most of us would probably say that Android is a pretty efficient mobile OS. Quick access to features and apps that users want—like Google or the camera, for example—are there out of the box, making it easy to do what needs to be done without a lot of hassle. One area that could be improved, however, is something that everyone likely does often: accessing contacts. 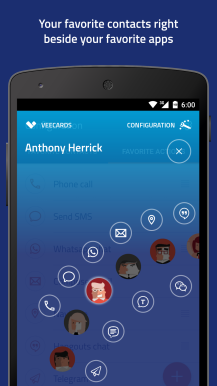 That's where a relatively new app called Veer Contacts Widget comes in handy. Now, let's get one thing clear out of the gate: despite the name, this isn't a typical "widget." It's more of a floating app that's accessible from anywhere, at any time. That's what makes it so quick. It's also optimized for use with one hand, which makes it even quicker. Let's take a closer look at how it works. Basically, Veer sits off to the right side of the display, and swiping it inward towards the middle instantly launches the app's main interface. Users can quickly scroll through their favorite contacts (all of which are customizable), then execute a slew of various commands, like sending a text, calling on the phone, or contacting through a variety of different apps like WhatsApp and Hangouts. Again, this is all super accessible with one hand, even on large phones like the Nexus 6/6P or Galaxy Note. 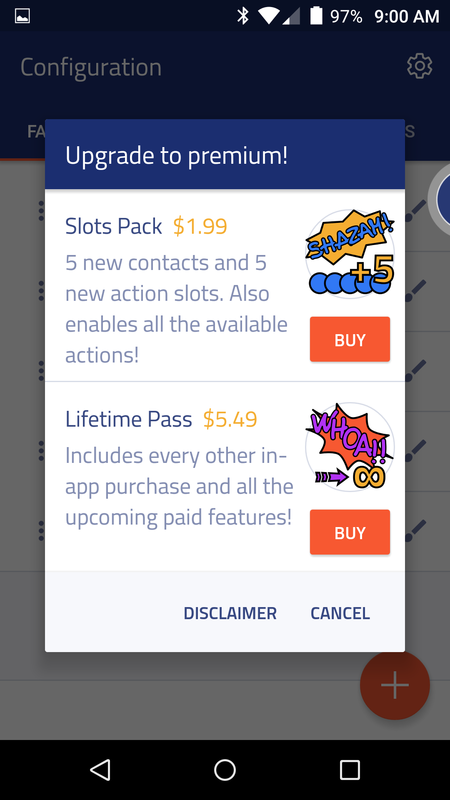 Again, the free app allows for five of these options to be enabled at one time, and more can be added via in-app purchase. It's also worth noting that some of the actions are only available through IAP. On that note, let's talk about those IAPs. They're actually rather reasonable, with the $1.99 Slots Pack enabling five additional contact spots, along with five more action slots. It also enables all available actions, which provides a significant amount of value for anyone who uses more than one or two services. There's also a $5.49 Lifetime Pass option, which includes everything above and all future paid options. 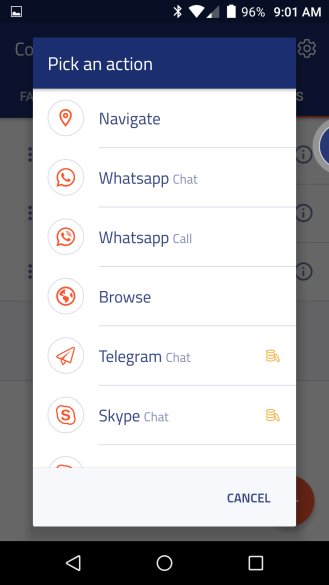 This is definitely the best option for long term users. But before you can become a long-term user, you have to at least try the app out. The good news is that it's totally free, so it's one of those things you can check out for a few days, then go all-in if you decide that you love it. 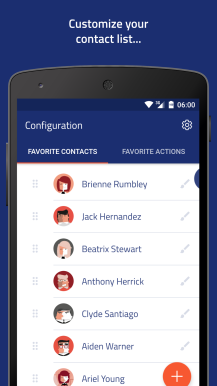 If you're looking for a quick, easy, and efficient way of accessing your contacts, check out Veer. It's also available for iOS, so you can share it with all your iOS-loving friends. Nice.